Tile doesn't last forever. You may think it does, but if it's not properly taken care of, you can be sure you'll be dipping into your savings account a couple years down the road to replace it. Unless you really want to spend your hard earned dinero at Home Depot on some new tile, you might want to think about getting your Tile some Tender Loving Care with Arvada Carpet Cleaners Tile Cleaning Service. Most consumers simply think that once tile looks worn, and if the Simple Green and elbow grease isn't working, you simply have to order new tile. This couldn't be further from the truth. You might not have ever seen a professional Tile Cleaning take place in front of your eyes, but the sight is truly something to behold. You would be amazed at how a simple machine can make your Tile look completely new, and save you potentially thousands of dollars in the process. We're interested in saving you time and money. The time that it takes to pick out, purchase, and install new tile can take weeks, maybe even months. The Tile in your kitchen, bathrooms, entry way, and mudroom can be preserved greatly by simply giving Arvada Carpet Cleaners a call. 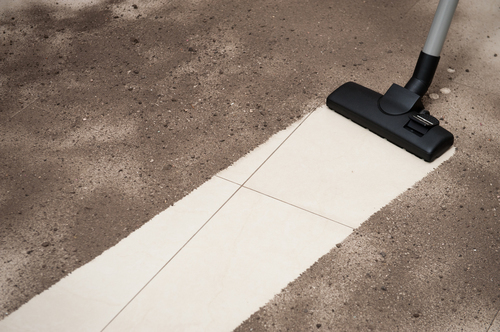 Our state of the art Tile Cleaning machine will make magic happen right in front of your eyes. Picture leaving for work one day, when you know you will see your ugly discolored tile for the very last time. You arrive home to the Tile that looks like it was just purchased yesterday. The Tile is sparkling, and the grout is the color that it was the day you bought it. But you're probably asking, 'Can't that be extremely expensive?' No more expensive than a regular carpet cleaning, and we even let you know what the price would most likely be when you give us a call. Tile Care is so essential to maintaining the integrity of your home, and Arvada Carpet Cleaners specializes in making your tile look brand spanking new! 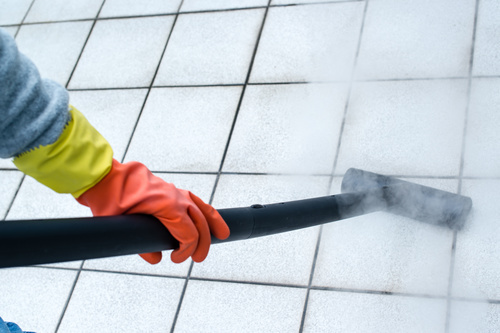 Give Arvada Carpet Cleaners a call today and inquire about our Tile Cleaning Services. We're available by phone at 720-442-9035!